The United States conducted its largest air strike in nearly two years against militants in Somalia, killing about 60 Al-Shabaab fighters, the US military said Tuesday. "This precision air strike was the largest air strike against Al-Shabaab since November 21, 2017," when air-dropped US munitions targeted one of the group's training camps, killing about 100 extremists, US Africa Command said in a statement. The strike took place Friday in the Harardhere area along the central coast of the Horn of Africa country, where US forces train Somali troops and also partner with the United Nations-backed African Union Mission in Somalia. Air assaults and missile strikes have increased in recent months against the Shabaab, an Al-Qaeda affiliate fighting to overthrow the internationally backed Somali government in Mogadishu. 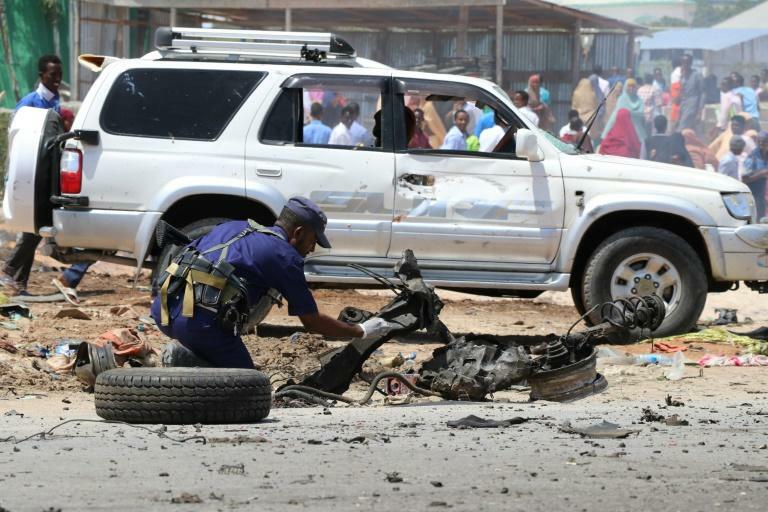 Friday's air strike came the day before suicide bombers killed at least 16 people at a restaurant and coffee shop in the southwestern city of Baidoa. It also came just before the first anniversary Sunday of a truck bombing that left more than 500 dead in Mogadishu, the worst ever attack in Somalia blamed on Al-Shabaab. Yahoo Poll: Did the NUS peeping Tom who filmed Monica Baey get off too lightly?